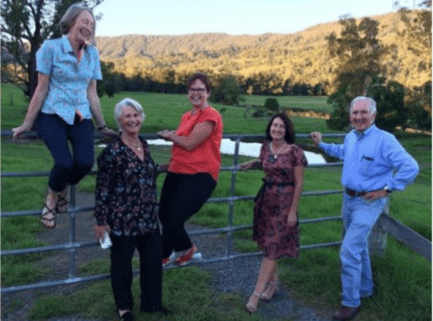 In line with this mission, as chair of Sculpture on the Farm Inc., | am very proud to have brought this inaugural exhibition to fruition as a partner event in association with the 2018 Dungog Festival. We are thrilled to present in 2018 one hundred works by sculptors from New South Wales, including sculptors from the Dungog Shire, Queensland, Victoria, Tasmania and the Australian Capital Territory. 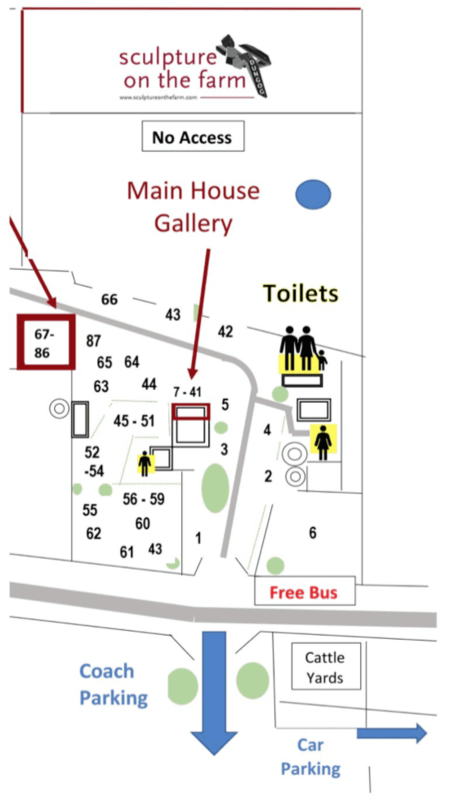 Everyone attending this exhibition is a very welcome visitor to “Fosterton” and we hope that you will go home with an enduring and increased appreciation of the importance of sculpture in the public domain. Along with my husband, John, we certainly hope that you enjoy your visit to “Fosterton” and that you will return to the Dungog region before too long. Destination NSW, Crawford’s Casting, Farmers Warehouse, Dungog Kitchens, Dungog Shire Events, Boydell’s Winery, Australian Galleries, The King Family, The Bloomfield Group, The Sculptors Society, Reliance Motors, Norco Rural, Tinshed Brewery, Dungog Rotary, Hilldale Union Church Committee, Dungog Rural Fire Service, GJWear Training, Robyn Werkhoven. A special thank you to all sculptors who expressed their confidence in the mission of Sculpture on the Farm in its inaugural year. The many Sculpture on the Farm Volunteers, including Jane Chandler, Jane Stevenson, Penny Kater, Cathy Oliver, Jenny Creal, Chris Erby, Cas Addison, Sharon Farrell, Pennie Pomroy, Michele Myers, Jenny Robinson, Ted Nobbs and the traffic control volunteers. 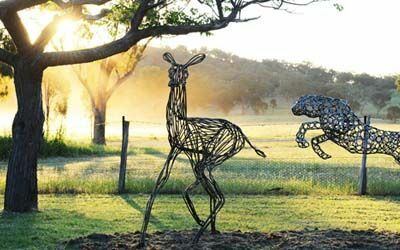 Sculptures In The Garden is an exciting not for profit event that showcases Australian sculpture in a beautiful rural setting within a private garden and vineyard in Mudgee NSW. Proceeds raised from the exhibition go towards a public art sculpture walk in Nludgee’s Lawson Park. 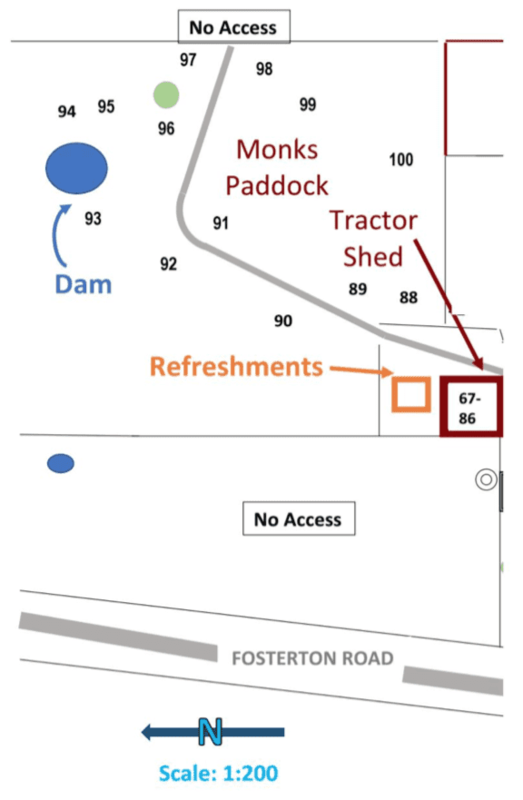 All gate proceeds and catering revenue go to the Guide Dogs NSW/ACT. 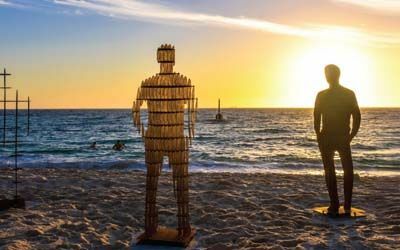 Sculpture by the Sea returns to the Bondi Beach to Tamarama Beach coastal walk as the world’s largest free to the public sculpture exhibition. 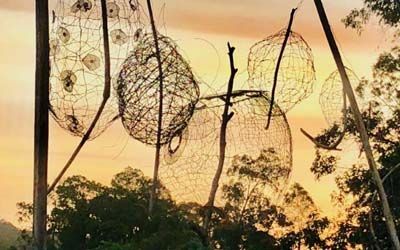 Wollombi Sculpture in the Vineyards is a celebration of arts and culture held across four boutique vineyards and Wollombi’s historic village. Bring the family and relax in a nature amongst the sculpture. Hear the inside story from our friendly art expert, join an artist-led creative workshop or chat about wine making and intricacies of growing a good wine-making grape with one of our experienced local vignerons.